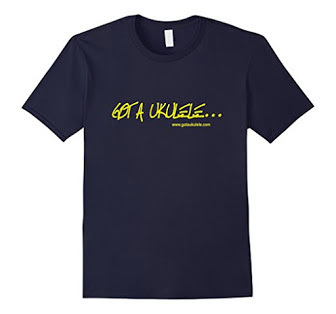 Earlier in my ukulele playing I bought a Brüko 6, and sold it a matter of weeks later. I don't really know why I did, and immediately regretted it. That said, never got around to replacing it, until now. That came about seeing This video that I blogged which reminded me how nice an instrument it was. Am I glad that I replaced it? Read on! The body of the uke is solid mahogany, with a satin finish. The build is impeccable, and in fact the whole ukulele has a kind of "doesn't look real" quality to it - everything is so precise and sharp that it almost looks like a model ukulele if you see what I mean. I don't mean that in a bad way, but you get the idea. The top and back are a single piece of wood, so not book matched and the sides are also one single piece (i.e. not two sides joined at the neck and end block) The sound hole has a very basic ring to it. I don't suppose the look of the body is going to win any awards - this is not flamed or highly figured wood, but it is good wood. Looking inside the uke and we see there is no kerfling (the ridged wood supports that help hold the top and back to the sides) which is intriguing as not sure how the uke is holding together. Koaloha ukes don't have kerfling either, but their bracing system does this for them. Inside the Bruko is some simple top and back bracing, and in their traditional style, no label, but just the Brüko name branded on to the wood (very cool!). The bridge and saddle is a solid hardwood material (i.e. no separate bridge saddle) - which again echoes my comment above about this uke being more solid than most - in fact there isn't much on this ukulele that ISN'T made of wood! Some may have issue with the one piece bridge as the obvious problem it could cause is whilst you could (I suppose) sand it down to lower action, there is no way to raise it. 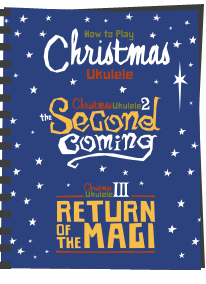 I have no issue with this uke though, as the action is perfect. Strings are attached to the bridge via slots and held by an end knot, and the uke ships with Pyramid Carbon strings. Moving on to the neck and we reach the element of the Brüko that is perhaps the most striking. The whole thing is made of exquisitely finished, very pale, maple. It is so smoothly finished it actually feels like holding a piece of marble - quite something. I actually also thought the neck was a single piece of wood (which would be truly amazing for a uke that is about £100), but its actually two pieces, with the heel being the bit added. The join though is nearly impossible to spot, and even the grain matches. The neck and headstock though are a single piece of wood. I love the feel of the neck, and particularly the heel arrangement where it joins the body. 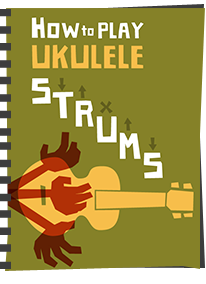 The next thing that strikes you about the neck is that the nickel frets (of which there are twelve) are set directly into the maple itself - in other words, there is no separate fingerboard attached to the uke. This is unusual in the ukulele world, but you may have seen electric guitars like that, particularly Fender Stratocasters. There is no reason why a uke cannot be built this way, and the addition of, say, a rosewood fingerboard is purely an aesthetic thing. In this case though, why not show of that beautiful maple - I love this - and more solid wood! Black inlaid markers are provided at the third, fifth, seventh and tenth. There are no side fret markers which I think would have been an easy addition. At the top of the neck we come to more use of wood - the nut. This is a wooden nut (to match the wooden saddle I suppose) that appears to be made of a sandwich of hard woods. 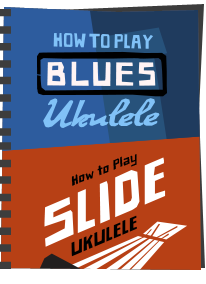 Again, I like the look of it and it's in keeping with the overall feel of the uke, but adjustment may be seen by some as an issue. On to the headstock, and we have the next most striking thing about the Brüko. There is no makers name, but just a patterned veneer faceplate made of two strips of mahogany and a central strip of maple. I adore this look and it certainly makes the uke stand out from the usual Martin copy headstock designs. Tuners are basic frictions but they work just fine. I think they may be the entry level Grovers like those that come on the stock Flea and Fluke ukes. I suppose they could have used better tuners, but honestly, these work, and remember, this is only about £100!!! Aside from the frets and the strings, this is the only thing on the ukulele that is not made of wood. So how does it play? Well compared to the first No.6 I owned I think the sound is a little fuller. Not sure if they have changed the design in some way, but there were some criticisms of the earlier ones sounding a little tinny or boxy. This does sound very soprano-ish, and I am sure that I can probably mellow it a little more with the use of Worth Brown strings - but honestly it sounds just great. Sure, it's not got the rich sound of a Koa Kamaka or Koaloha, but come on, it's £100. The whole package also feels an absolute joy to hold. The build quality is staggering and the smoothness of that neck is wonderful. As I said above, the action is perfect, and I have checked the intonation all over the neck with a Peterson Strobe Tuner and it is pretty much spot on all over. Amazing really for the money. And I think that is the best thing I can say about this uke. For the money, I can't see what is really better - a non far eastern, locally made, exquisitely finished all solid wood ukulele for £100. Dare I say it, but if some of the bigger brands out there (naming no names) put out a ukulele with these features, all solid and with this build quality, I think they would have it priced nearly double that. The downsides are minor - that bridge and saddle may present an issue further down the line, and I suppose the tuners could be better, but you have to read that against the price. Some may still find the sound a little bright, but it is a soprano, and if you like that sound you will probably like this. 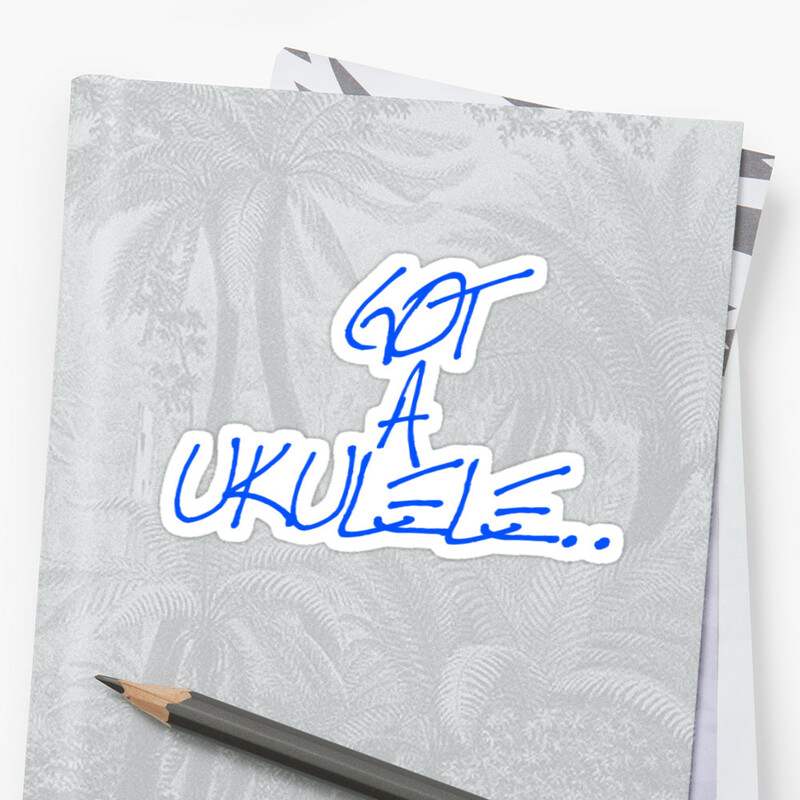 Another gripe I have to raise is how easy it is to get hold of these ukes - I have spoken to a few people in the uke world, and, particularly in the US, these are hard to find in dealers. I know you can order direct from Hubert, but I think most people would prefer a local dealer which they can sample first. Perhaps Brüko prefer to keep it this way as their production runs are low, but I am sure there is a demand for them. I actually had this one shipped from Germany myself as it's equally hard to find these in the UK. 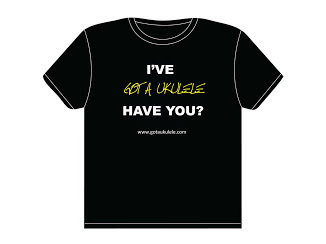 So come on Hubert - get these ukes out there! Highly recommended if you can find one. Did you change the strings? I have heard 'Things' about Pyramid strings and I'll just say that those 'Things' were not complimentary. Jon - thanks - for the money I think these are kind of essential ukes. Paul - yes, the Pyramids are not my favourite. Thankfully, they are now shipping with Pyramid Flourocarbons as opposed to the nylons they used to use (which were, frankly, dreadful). I still think these carbons are a bit bright so will be trying her strung with Worth Browns very soon. Well, the Worth Browns are on. To my ears, much much warmer and louder too. Pleased with the change. Some have reported that worths kill the sound, but not for me. thanks for the great review! I am the one you made the music for the Brueko "workshop tour" on Youtube - on a (slim) Brueko No. 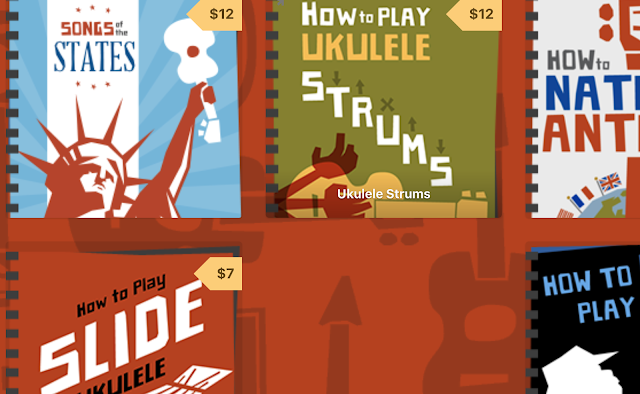 6 (which is my favourite every day ukulele)! My favourite strings for the Brueko sopranos are the Martin 600 fluorocarbon (but as you said before, the Pyramid fluorocarbons are much better with regard to intonation). have fun with your Brueko! Wow Peter - great to hear from you. I actually blogged the workshop tour after this post - its wonderful! Will check out your link! I'm a friend of Peter and also a big Brüko Fan. Nice review that shows that not all the good Ukes come from overseas. You should try the Maple flat Brüko also. It has quite a different sound. I have read this review a good few times now, loved it and now can't wait till i go back to the UK at Christmas... as I have this very one waiting for me. Out here in Hong Kong we have limited Uke resources but I've been taking some lessons roughly translated into English for me (the teacher really tries to include me). Now I'm looking forward to showing the family what 12 weeks of lessons sounds like... on this Bruko! I have one of these and think it's great. My one 'problem' is the strings - not because of the sound, but clear strings against a maple fretboard just don't show up - I know, I'm one of the oldies so it could be my eyes, but my other uke has Aquila strings and a rosewood fretboard and this is easier. Think Worth browns may be in order! As a self-declared Brüko aficionado, I own a small bunch of them now, mostly custom models. One of them is a maple soprano (a really pretty flamed maple), but it‘s one of the custom models. Worth brown sound great on it, to my ears, as on a few of the others as well. The maple soprano sounds a little bit less harsh with them. A Bruko number 5 (just like the one in the review but with a plain headstock) was my first proper uke, and I used it at the Re-entrants first ever gig. After a couple of years, I sold it to a friend, but always missed it. Upon my friend's recent passing, the uke found it's way back to me. I was kind of expecting to have 'moved on', and that it wouldn't be as good as I remembered, but I was wrong. It is a fabulous sounding and playing uke, and I won't let it go again, in fact I'll be gigging with it regularly. Yes, 5 is essentially the same instrument - great ukes. Interestingly, this one has since sold too Phil - wonder if I will get it back in due course?? I can send it back with Malc if your missing it Barry. Although I would prefer to keep it. Ordinary black nylon strings now, as an experiment, different. Still quality. I've studied the reviews of this and the Snail UKS220 for awhile and I just can't make up my mind!! I'm pulled in by the looks of the snail but I'd like a real wood uke and I love that white neck. Somebody help haha which actually sounds/feels the best? I too find the Worths kill the sound a bit on a Bruko. They're fine on other ukes in my experience. I have a Stagg solid top which although not as nice a build as the Bruko is much louder (& nicer) sounding. Shame but still lovely! I eventualy sold Barry's Number 6...Bloody hell I miss it. I have just bought a number 5 so I'm happy again..
Wow! Nice to add another chapter to the story!